The Fall Music Fest was very successful. There were 71 in attendance and the offering totaled $385.25 and every cent went directly to New Hope Ministries the next Monday morning, where it was graciously accepted with much appreciated. The musicians and all the singers were at the top of their game, that's for sure! The musical selections were not only beautiful but were inspiring as well. The personal witnessing from several of the singers was truly heartfelt and inspirational. Those attending stayed after the final presentation and enjoyed a varied selection of refreshments while expressing their sincere gratitude to the musicians and singers for delivering such a beautiful program. Spring Music Fest Results - The Spring Music Fest was the most successful of any that we have hosted to date. Both the attendance and the giving records were broken. There were 86 in attendance and the offering totaled $586.14, and every cent went directly to New Hope Ministries the next Monday morning, where it was graciously accepted with much appreciation. The musicians and all the singers were at the top of their game, that’s for sure. The musical selections were not only beautiful but were inspiring as well. The personal witnessing from several of the singers were truly heart felt and inspirational. Those attending stayed after the final presentation and enjoyed a varied selection of refreshments while expressing their sincere gratitude to the musicians and singers for delivering such a beautiful program. 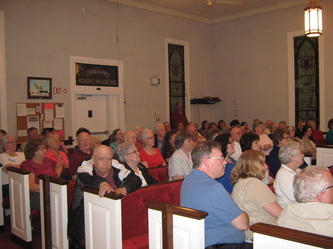 Many had commented that they felt the Spirit that night and they can hardly wait for the next program. So if you could not make this one, keep an eagle eye out for the date and time for the Fall Music Fest, because you surely do not want to miss two in a row. Thank you to all that donated refreshments, set up the food tables and cleaned up afterwards. This event would not have been possible without all your assistance and cooperation. Our Parish is collecting one-pound sticks or tubs of margarine for New Hope Ministries Christmas Baskets. New Hope will store all margarine collected for us; bring them in cold and we'll see that they get to New Hope. We will be collecting butter through Sunday, Dec. 14. 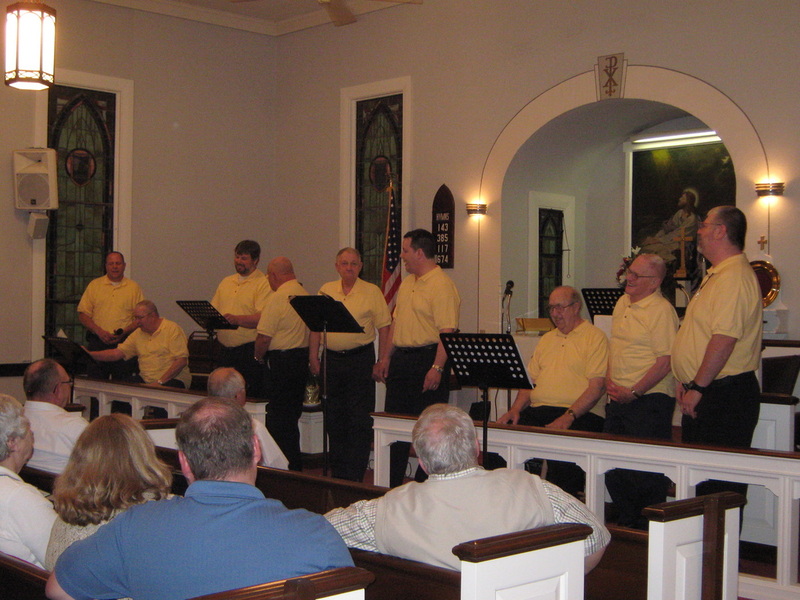 SPRING MUSIC FEST – May 3, 2014 7:00PM at Emmanuel Lutheran Church is our 22nd Music Fest. Featured this Spring is a terrific line up of musicians and vocalists. Please plan to attend to hear a fine mix of Gospel and Christian music, and provide financial support for a very worthwhile organization. All musicians and vocalists are appearing free and receive absolutely NO reimbursement. Emmanuel Church has graciously donated their facility also which enables us to guarantee 100% of a free will offering will go to New Hope Ministries. With the current demand for financial assistance, our intent is to raise as much as possible, and through everyone’s combined efforts, give a generous donation to New Hope Ministries so they can continue to provide to those in need. 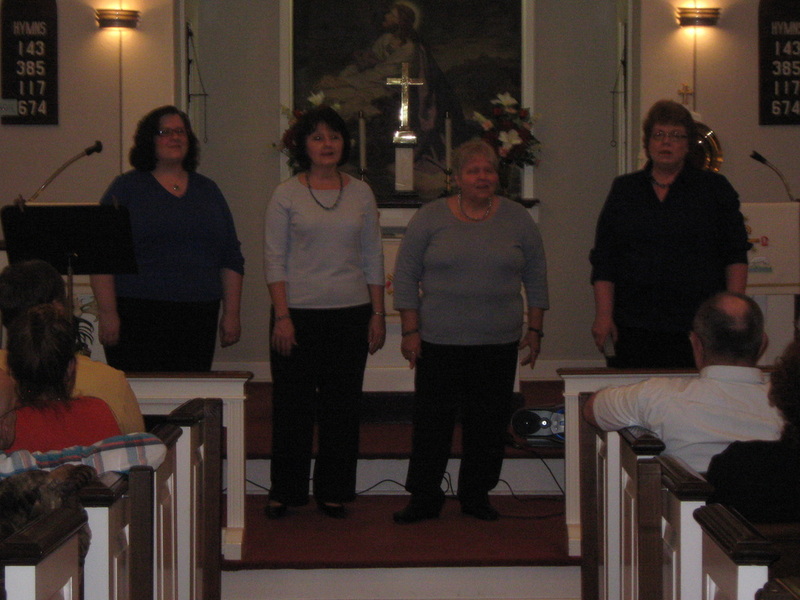 Fall Music Fest – Our next music fest is scheduled for 7:00PM Saturday, September 28, 2013 at Emmanuel. Featured this fall, is a terrific line-up of musicians and vocalists (Judy Cornman, Dietrich Bros, Phyllis Seager, High Praise, The Faithful Men, and The Good News). All musicians and vocalists are appearing free and receive absolutely NO reimbursement. There will be a free-will offering which will go to New Hope Ministries. For any additional information, please contact Wally Foreman. SPRING MUSIC FEST – April 13, 2013 beginning at 7:00PM at Emmanuel Church is our 20th Music Fest, and fundraiser for New Hope Ministries. Featured this Spring was a terrific line up of musicians and vocalists. Starting off with a group of men and ladies that were organized in 2009, they call themselves Devoted Praize, and they sang contemporary Christian music, and featured a keyboard for their musical support. Next was a ladies group, High Praise, who appear with us regularly and were back by popular demand this Spring. They sang contemporary Christian music with the closest and tightest harmonies that you will ever hear. Then we had a group making their first appearance with us, Praise Strings, a duet, and we have heard nothing but good comments concerning their musical style. Following them was a men’s group, Solid Rock, who have appeared for us several times and they are a true delight to hear. They sing a combination of contemporary Christian music and gospel songs that are sure to please everyone. Their harmonies are absolutely terrific. The New Hearts, another ladies group that has appeared for us many times was back with us again this Spring, and they feature their own style and blend of contemporary Christian music that is an absolute treat. Next we presented a soloist that appeared with us for the first time, Phyllis Seager, who has come to us through audience recommendations, and we are certainly pleased that she sang with us this spring. The anchor group was once again, The Good News, a gospel band that consists of 5 members that sing gospel music with a country and blue grass flare. All musicians and vocalists appeared for free and receive absolutely NO reimbursement. Emmanuel Church graciously donated their facility also which enables us to guarantee 100% of a free-will offering weny to New Hope Ministries.